An earthquake with a magnitude of up to 6.3 has hit eastern Iran near the city of Kerman, seismological centers report. 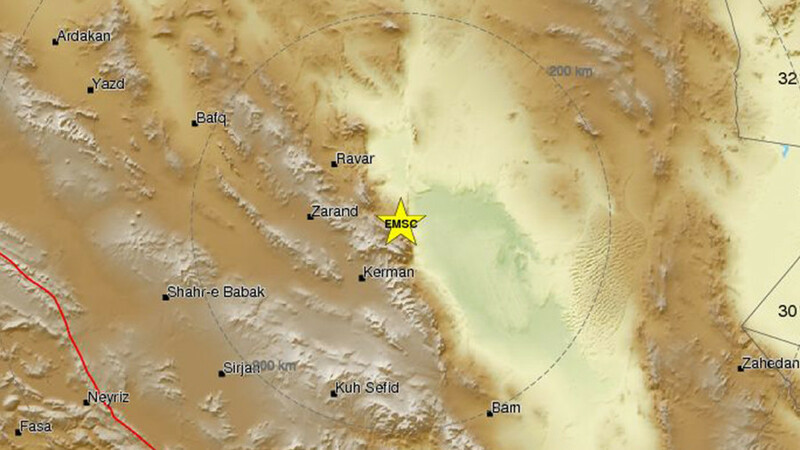 The earthquake struck at a shallow depth of 10km (6.2 miles), some 60km (37 miles) from the city of Kerman, which has a population of over 800,000, including suburbs. The quake's magnitude was initially reported at 6.3 by the US Geological Survey (USGS), cited by Reuters, and at 5.9 by the European-Mediterranean Seismological Center (EMSC). Both later revised it to 6.0. Magnitude 6.0 earthquakes are considered strong and can cause severe damage, especially in densely populated areas. However, there have so far been no reports of casualties or destruction in this particular case. The 6.0 quake was quickly followed by a 5.0 aftershock slightly closer to Kerman, at the same depth. The most destructive recent earthquake hit Iran on November 12, next to the border with Iraq. That quake killed over 500 and injuring more than 8,000 people in both countries. The 7.3 magnitude quake was the deadliest in 2017. American geologists have recently published a report predicting that the number of powerful earthquakes will spike in 2018, especially along the Equator, putting at risk some 1 billion people living in the volatile area.